High performance sit-on top kayak with room for a child passenger. Great for gentle coastal and inland touring, and comes with plenty of storage space in the bow hatch and rear tankwell. 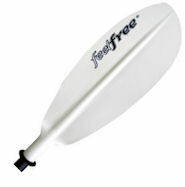 Optional fitted rod holders also available to make the Triumph into a fishing kayak! The Perception Triumph 13 sit on top is a perfect all-round touring and angling kayak. Designed to incorporate speed and stability, the Triumph 13 offers an excellent platform for all paddling activities on coastal and inland waters. The touring shape hull makes it fast and easy to paddle, and with its upswept flared bow it cuts through chop and delivers stability in swell. The large storage area makes the Triumph 13 fully capable of carrying all the kit needed for fishing, bird watching or an overnight trip, ensuring it doesn't get in the way of your paddling. There is also plenty of room in the bow hatch for a C-Tug trolley and a few other essentials. We can also offer the Perception Triumph 13 with 2 x Flush Mount Rod Holders fitted by us in-house, making this a great fishing kayak at a great price.  This option is available to select above. The Perception Triumph 13 is available to purchase with a self-fit rudder kit (add-on option above). The rudder kit uses adjustable pedal footrests to control the rudder and this further increases performance, especially in windier conditions. At 27kg and with well placed moulded carry handles, car topping this sit on top is a breeze. To read our full review of the Triumph 13 click here. An essential item when anchoring a kayak. 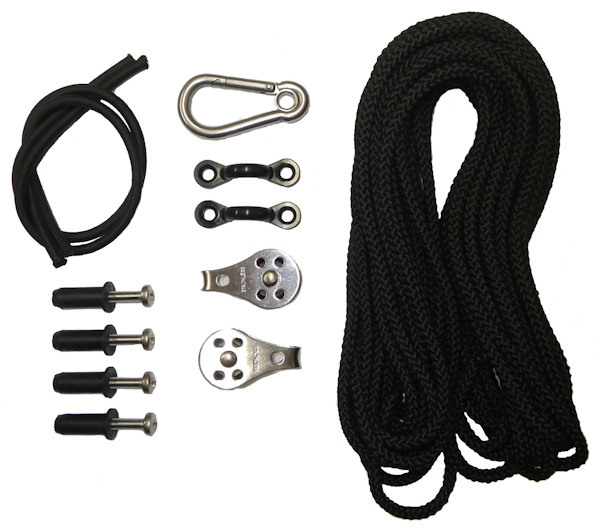 An anchor trolley allows you to shuttle the anchor line to the bow or stern of the kayak so that you can safely anchor with the kayak in line with the prevailing tide, chop, wind and swell conditions. 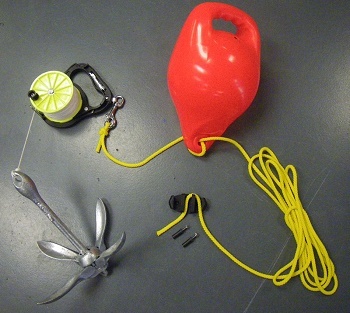 Kayak Anchoring Kit including Buoy and 80m Anchor Reel. The Ideal kit to anchor off your kayak safely. Please note you will also need an anchor trolley kit to install this on your kayak. 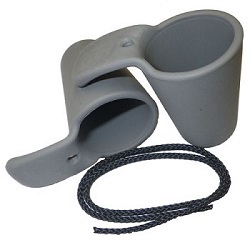 Supplied as a pack of 2, these scupper bungs are compatible with the Perception Triumph 13. Designed to plug the scupper holes of the kayak for a drier ride. Sold as a single unit. A universal round flush mounted rod holder that is compatible with the rear mounting recess of the Perception Triumph 13. Liam paddling the Perception Triumph 13 Comfort (with optional rod holders fitted) off the Cornish coast. We offer a delivery service for the Perception Triumph 13 throughout the UK & Ireland to home and work addresses. Buy a Perception Triumph 13 online from our website and collect from our shop in St Columb Road near Fraddon in Cornwall or you can collect from any branch within the Canoe Shops Group. There is no cost associated with instore collection*.